PIKOM, the National ICT Association of Malaysia, announced the World largest e-Sports festival, World Cyber Games Asian Championship 2012 which will be held together with World Cyber Games Malaysia National Final 2012. It will be a three-day event of adrenaline-filled actions as teams and individuals battled out to claim victory of championship titles representing Malaysia at Asia level and Grand Final in Kunshan, China from 29 November to 2 December this year. With the aim to unite gamers from all over the world while allowing gamers to enjoy and respect the e-game environment, World Cyber Games Asian Championship 2012 also serve as the platform for gamers to get together, exchange ideas and strategies whilst demonstrating their skills. The largest cyber-gaming event will be held from 7 – 9 September at Hall 1, Kuala Lumpur Convention Centre in conjunction with the National ICT month this September. In the Asian Championship 2012, there will be gamers from 9 other countries who would be wrestling for the individual titles. World Cyber Games Asian Championship will be featuring three official games titles - DOTA 2, FIFA12 & Tekken 6. The World Cyber Games Malaysian National Finals 2012 is expected to attract about 600 Malaysian gamers across the country. The tournament is open to all Malaysian citizens and Gamers, youth below 18 years old would required to submit parents’ approval. The seven games titles featured in the National Championship are FIFA12 (individual players), DOTA2 (a team of 5 players), Counter Strike-Online™ (a team of 5 players), World of Tanks (a team of 7 players), StarCraft2 (individual players), Tekken 6 (individual players) and Counter Strike Global Offensive (a team of 5 players). 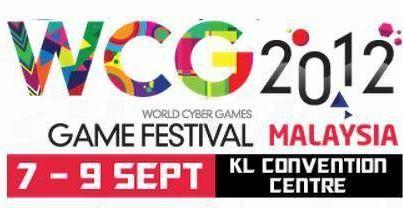 The selected winners will get the opportunity to compete with other world-class gamers to represent Malaysia at World Cyber Games Asian Championship 2012 which will be held from 8 – 9 September 2012 in Kuala Lumpur Convention Centre. Samsung Electronics, the global leader in digital media and digital convergence technologies is the Worldwide Partner of WCG 2012. Other sponsors include Razer as the official gaming gear and the supporting gamer publishers such as Online e-Club Management Sdn Bhd, Wargaming.net, Gamers DotCom Sdn Bhd, Sendi Mutiara Multimedia Sdn Bhd and Asiasoft Malaysia (AS Online Sdn Bhd). All gamers may log on to my.wcg.com for registration or to find out more information on WCG Malaysia National Final and WCG Asian Championship 2012. PIKOM, THE NATIONAL ICT ASSOCIATION OF MALAYSIA is the association representing the information and communications technology (ICT) industry in Malaysia. Its membership currently stands at over 1,500 comprising companies involved in a whole spectrum of ICT products and services which commands about 80% of the total ICT trade in Malaysia. PIKOM works to improve the business climate in the interests of all its member companies and to promote industry growth in line with national aspirations. PIKOM's membership is open to all Malaysian companies who supply ICT products and services in the computing and telecommunications industries. However, non-ICT companies are also welcome to join the Association as associate members. Samsung Electronics Co., Ltd. is a global leader in semiconductor, telecommunication, digital media and digital convergence technologies with 2011 consolidated sales of US$143.1 billion. Employing approximately 206,000 people in 197 offices across 72 countries, the company operates two separate organizations to coordinate its nine independent business units: Digital Media & Communications, comprising Visual Display, Mobile Communications, Telecommunication Systems, Digital Appliances, IT Solutions, and Digital Imaging; and Device Solutions, consisting of Memory, System LSI and LED. Recognized for its industry- leading performance across a range of economic, environmental and social criteria, Samsung Electronics was named the world’s most sustainable technology company in the 2011 Dow Jones Sustainability Index. For more information, please visit www.samsung.com .